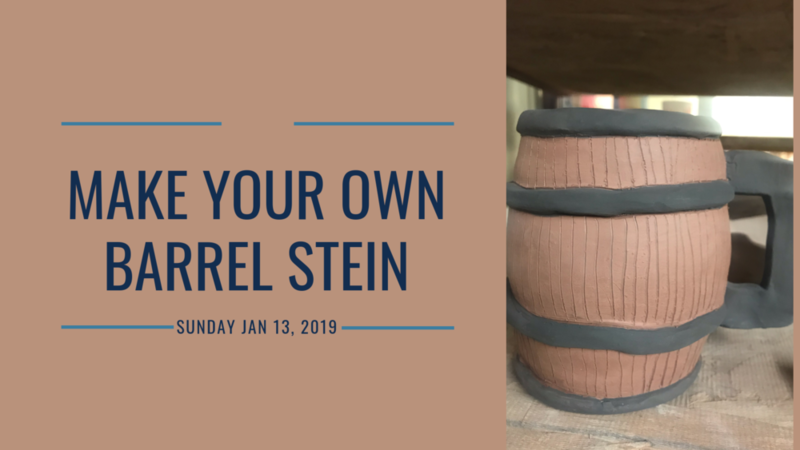 The iowa Ceramics Center and Glass Studio and Lion Bridge Brewing Co. are excited to be partnering for another Make Your Own Stein Event! This January we will be doing Barrel Steins in honor of Barrel Aged January! Perfect to sip your barrel aged beers out of! $35 includes the stein making class, a Lion Bridge beer, and your very own stein! Steins are fired and ready about 2 weeks after the event. Pick up is at The iowa Ceramics Center and Glass Studio during regular business hours. Don't wait to get your tickets, they sell out fast! ***Refunds can not be issued without a minimum of 48 hour notice. Steins not picked up in 90 days will be discarded. *This event is open to all ages, anyone under 21 will get a NA beverage instead of a beer.